In populist – perhaps – sympathy with the Dog House and Igloo here from Berangere in Paris is a contemporary cafe interior and the menu too from . . . she explains. 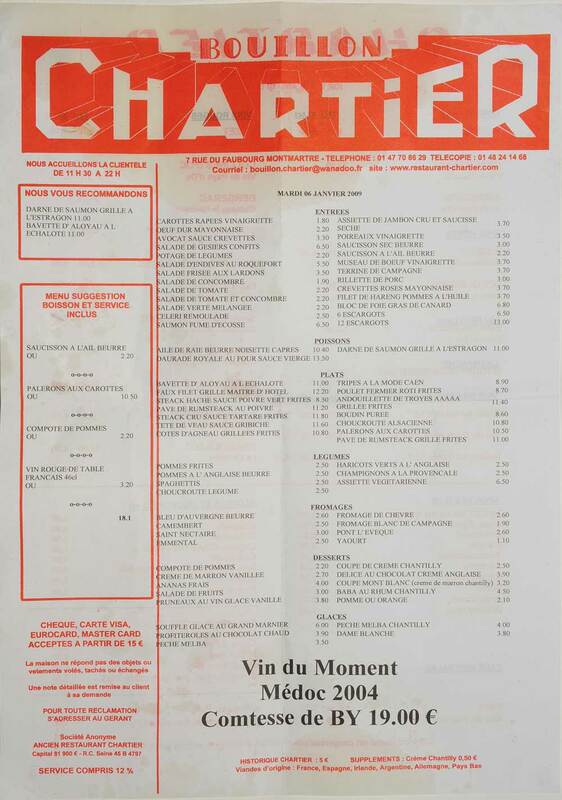 Here is a menu from one of my favourite restaurants : “Le bouillon Chartier ” 7 rue du Faubourg Montmartre Paris 9th, it is an institution for every good Parisian, the restaurant has been opened since 1896 , served 50 millions meals, and was classified a Historical Monument in 1989. 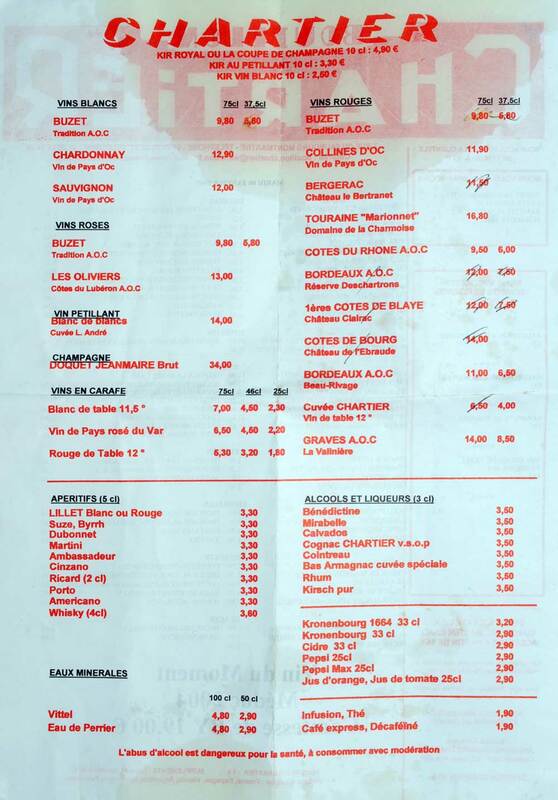 It is very cheap, simple food , ” bouillon” was meaning in the 19th century a mix of meat and vegetables for workers. I like the ambiance where everyone feels comfortable. 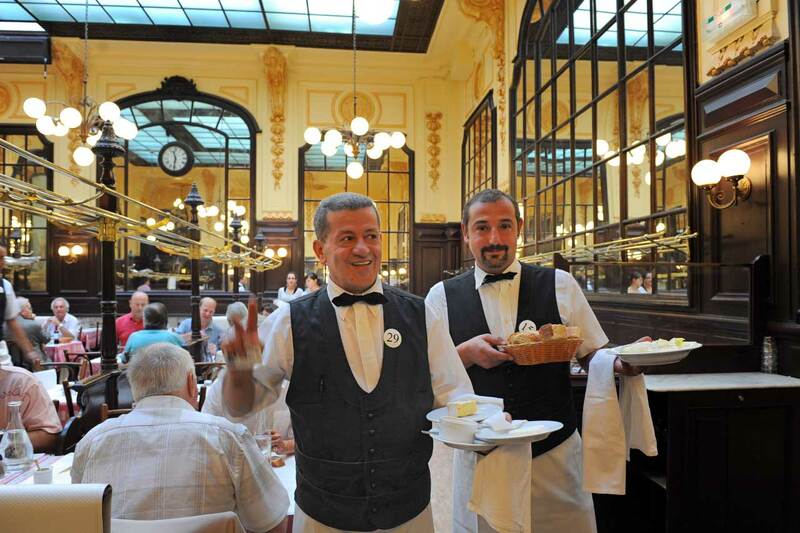 I have been there and it is wonderful,with its beautiful interior and delicious food. Actually all of France is wonderful.There seems to be great food and beautiful places no matter where you go.Viva La France!